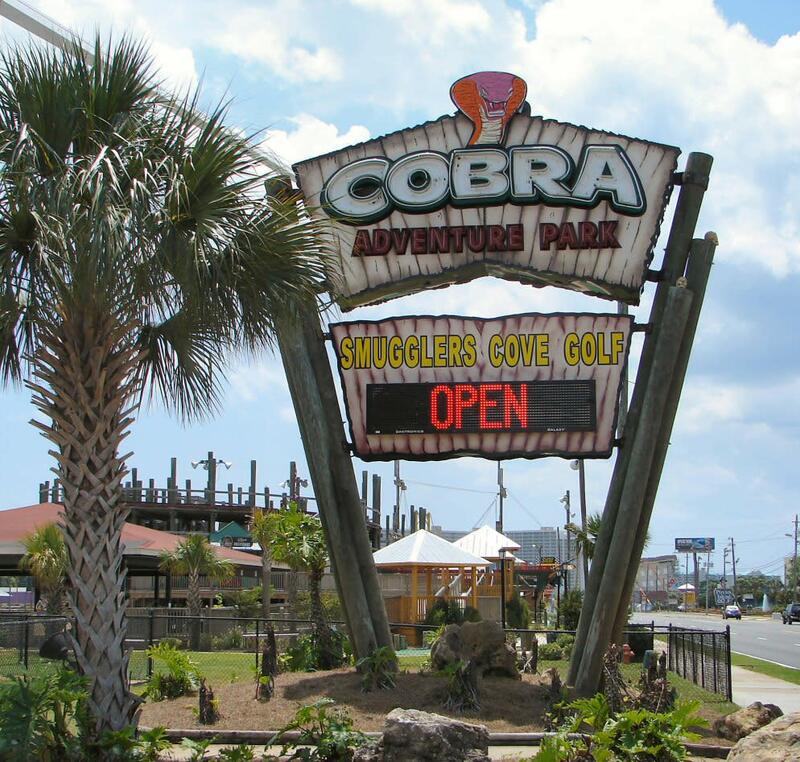 Cobra Adventure Park is one of the many small, beachside amusement/entertainment parks in Panama City Beach. 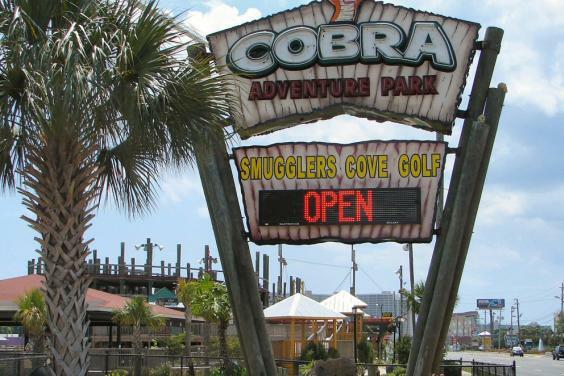 Rides at the Cobra Adventure Park include the Max Flight Simulator, billed as the “roller coaster of the future.” The Dragon Wagon is a steel-track, junior oval “kids only” roller coaster. You can also race 9hp go-karts on four levels at The Cobra, (double riding is available for kids,). Other rides at Cobra Adventure Park include The Wild Thing and The Vertical Accelerator, which reaches heights of over 160 feet. Other entertainment at Cobra Adventure Park includes The Arcade, which contains all the latest in electronic games. New at Cobra Adventure Park is our 18 hole pirate mini course the Smuggler's Cove where you can have fun playing mini golf in our pirate themed course including pirate town, ship and gallows.